Helping you get Premier Sleep! Snoring can be hazardous to your health. Loud snoring is no laughing matter and for many, it may signal a breathing problem during sleep. Do you wake up with morning headaches? Are you irritable, fatigued or have difficulty breathing? Do you find it hard to stay awake while driving, watching TV, reading a book, or attending a meeting? Do you ever wake up choking, gasping for air, or have a skipping or racing heart beat during the night? Has anyone watched you sleep and told you that you gasp, snort or hold your breath during sleep? If you answered YES to two or more of these questions, you may be suffering from Sleep Apnea. Untreated, sleep apnea can cause debilitating sleepiness, increase the chances of driving accidents and may lead to health complications, including heart failure. If you suspect you have sleep apnea, there are a few things that you might do before going to see a doctor or sleep specialist. 1.Keep a sleep diary – For a few nights, you or a sleep partner can record if you are snoring and how loud your snoring is, how well you are sleeping, whether you are having trouble breathing (choking or gasping), and whether you feel refreshed in the morning. 2.Record yourself sleeping – Recording yourself can be a helpful tool for your doctor. You can use a sound-activated audio recorder or a software program that turns your computer into a recorder. With your sleep record in hand, consult your doctor. If your doctor suspects sleep apnea, you will probably be sent for an overnight sleep study in a sleep clinic (also known as a sleep lab or sleep center). Sleep tests in a sleep clinic help to diagnose sleep apnea by measuring how frequently you stop breathing. What is a Sleep Study (Polysomnogram-PSG)? 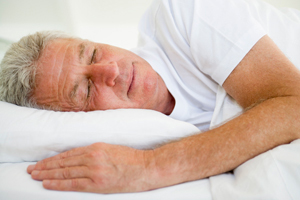 A Polysomnogram (PSG) is a sleep study designed to detect abnormalities during sleep. Often during sleep the body functions act differently than while awake. A PSG monitors these functions, including sleep stages, eye movement, brain waves, muscle activity, breathing, body positions and heartbeat. Accurate diagnosis is important to receive appropriate treatment and a PSG is the best way to collect data to make a diagnosis. What does sleep testing involve? A PSG monitors your functions during natural sleep to determine if there are any abnormalities. To do this, painless, gel-filled sensors will be attached to your skin. During the night, you may require additional equipment, call CPAP or BIPAP, or oxygen to help with breathing. Your care providers will discuss this equipment with you if needed. You will have a private bedroom with a bed. Bring along comfortable pajamas and any medications you may need during the night.Special video cameras and microphones record all sounds and movements you make during sleep. A specially trained technician will place a number of sensors on you to help collect data. Yes. All of part of the charges for PSG’s are covered by most insurance companies. Check with your insurance provider before you come in for your test to determine your coverage, deductibles, co-pay and costs, also whether pre-authorization is needed. If you have any questions or anticipate problems with these charges, call us for help making arrangements.